Announced at the same time as Sonic Mania was Sonic Forces. This follows more in line with the more modern era Sonic titles like Sonic Adventure, Sonic Heros etc. Unlike many I have some fond memories of the modern Sonic titles, yes they’re not a patch on the older 2d incarnations but some were at least playable and fun (well… mostly Sonic Heroes tbh and I am excluding the racing games, both of which were pretty good!). So with some anticipation I sat down to play some of the new Sonic Forces title whilst at EGX. The demo on display gave you a few different options ranging from the more traditional side scrolling look and feel to the aforementioned 3d incarnations. Each section maintains a slightly different control scheme. Movements are the same but one will utilise slightly different control button maps. The lock-on and bounce mechanic from later Sonic titles is here, simply hitting the button you will zoom to a reticle on an enemy and bounce off them/destroy them. Starting with what I know best I went for the side scrolling section, and boy was that a mistake. Having recently played both the original titles and Sonic Mania it was immediately clear how different the physics and control responsiveness was on this section. 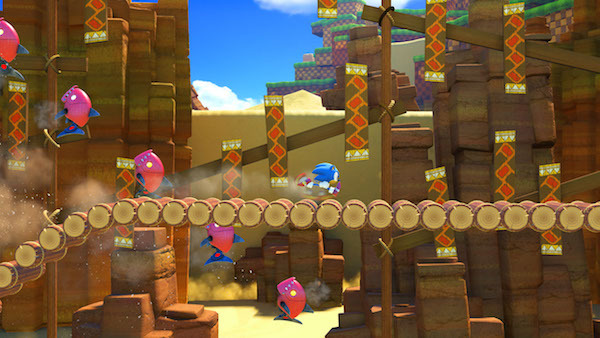 Not only that but the level designs seemed to throw more obstacles in your way and not get the fluidity of the original designs… basically it didn’t feel like Sonic. Finishing off that section I headed for the 3d incarnation. The game moved well and looked reasonably good. 3d levels design was at least better flowing than the other sections I had played yet the game still felt sluggish, like there was a small delay between each press of the controller. There were some entertaining enough parts to this section and the massive enemy chasing you as Sonic runs towards the screen was a nice change of pace too. The final part on offer was the character creator part. Here you can create a custom character and take on levels using that creation. Once again this played OK, but still felt very spongy with little precision control over the characters. The creator was reasonable but there was only so many combinations and characters looked a little cookie-cutter. The control issues were so pronounced that I then went and tried the game on a different platform. Initially playing on the Nintendo Switch and then on the PS4. Sadly this wasn’t a platform specific issue and it left me feeling more negative than positive about the project. Upon playing the Sonic Mania preview build last year I was stupidly high and hopeful for the Sonic franchise. 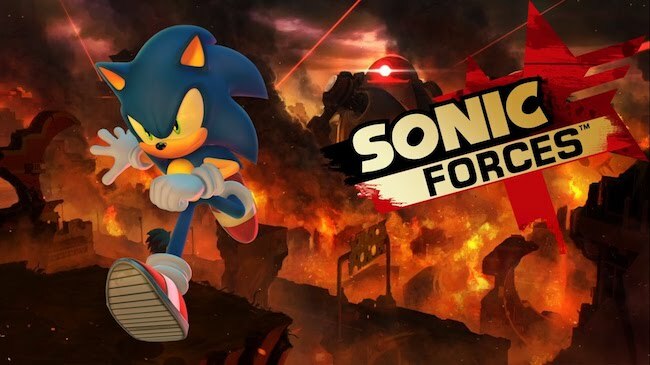 Playing Sonic Forces this year has had the opposite effect on me. 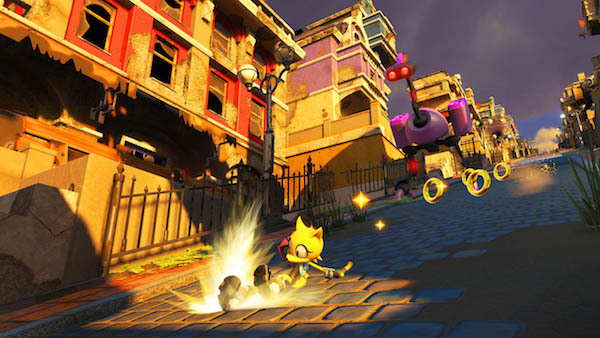 Sluggish controls, strange physics and momentum, stuttering level design that just doesn’t feel conducive to the point and flow of a Sonic game. On the plus sides the game looks good in motion and sounds great too. 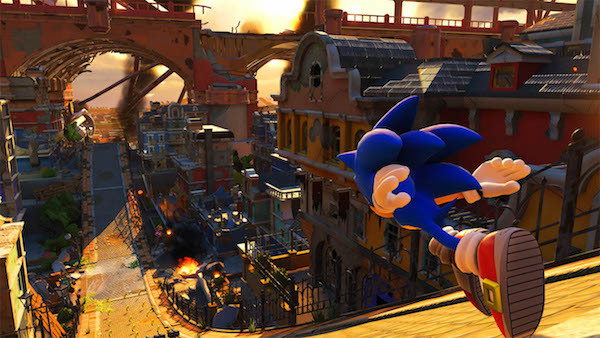 I think it’s going to be interesting to see what changes Sega can bring to Sonic Forces in time for its release next month on PS4, Xbox One, PC and Nintendo Switch.